A gripping psychological thriller for fans of Gone Girl and Making a Murderer. For four long years, journalist Morgan Vine has campaigned for the release of her childhood sweetheart Danny Kilcannon - convicted, on dubious evidence, of murdering his 14 year-old stepdaughter. When a key witness recants, Danny is released from prison. With nowhere else to go, he relies on single mum Morgan and her teenage daughter, Lissa. We're all animals...although some of us have more primal instincts than others. Suffering from PTSD and wracked with guilt and failure after a grisly discovery in a particularly disturbing case, Joe lives in a lonely shack in the shadow of the nuclear power station at Dungeness. But when the daughter of an old friend goes missing, the investigation centres on the wealthy family's animal park. 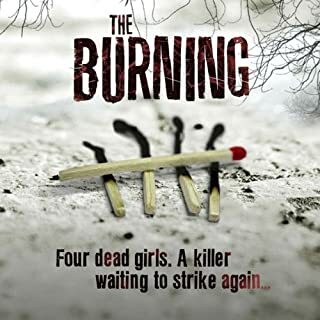 Owing the owner a favour from years past, Joe is drawn further and further into the enquiry - hoping to solve the riddle of the disappearance amid the family's increasing dysfunction and desperate to find redemption for himself in the process. Featuring: Fehinti Balogun, Pippa Bennett-Warner, Ed Bluemel, Imogen Church, Brendan Coyle, Laurence Dobiesz, Victoria Hamilton, Rebekah Hinds, David John, Harry Lloyd, Brigid Lohrey, Joseph Marcell, Michael Shon, James Smith, Jo Stone-Fewings, Niky Wardley, Sarah Whitehouse and Lia Williams. I liked the story I just don't like this type of narration. All the background noises were too much. The story was good. I just prefer a simple narration. The story was predictable and the characters lacked depth. The voice acting was overdone and the music was cheesy. I have listened to most full cast books and this was very dull and confusing. there wasn't any development of the characters and the plot was generic. I had to force myself to finish this and regret the waste of time. 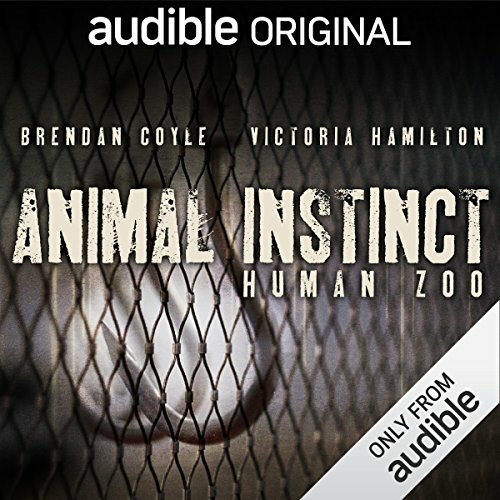 Human Zoo is the latest in a string of high quality Audible Originals. They really are laying on star quality casts and backing them up with top notch production values. I enjoyed the narration and the voice acting and loved the soundscape including both effects and the music. Though some might find it a bit intrusive at times depending on taste. There is a 3D quality to these productions which adds considerably to my enjoyment of them. So it's a worthy purchase and a lot of people are going to enjoy it I'm sure. For me though it didn't quite hit the bulls eye in terms of the story. It promised a unique protagonist whose knowledge of animal behaviour contributed considerably to his detective capabilities. For sure there is a lot about animals in here and he does come up with some fairly bizarre but seemingly random animal facts but Joe Cassidy in the end is more usefully in tune with English grammar of all things than animal instincts. In fact it was the story of his personal relationships that was more interesting to me than the murder mystery itself. So, a top quality production but I didn't feel that the story line, while entertaining enough, quite delivered on the promises made. The pace of this book is pretty breakneck and suits an audible original drama production well (similar style to the Fitzek adaptations). Would you be willing to try another book from Simon Booker? Why or why not? 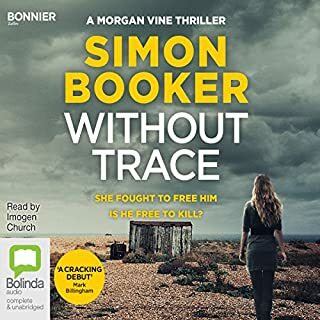 I would try another book from Simon Booker as the plot never lost my interest. Now this is where things get tricky as i listen to these dramas on over ear headphones whilst walking the dog normally. The sound mix, as other reviewers have stated, is all over the place - good sometimes...the bird chatter and muffled voices on the edge of the mix really put you in the centre of the story BUT, (and it is a big but), crucial conversations do get lost in the audio mix (one particular one on one conversation was 'inaudible' to my ears) and spoilt part of the drama. The overall mix through headphones felt muted certainly compared to the Fitzek drama productions. Also, at times, it sounded like the narrator had a nasal cold! Funnily enough, the mix sounded a lot clearer on my laptop speakers and i just do not know why? Was Animal Instinct: Human Zoo worth the listening time? 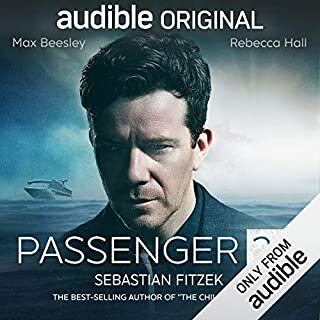 Yes, but probably not one that i will revisit, unlike say, the superb Martin Beck audio dramas. 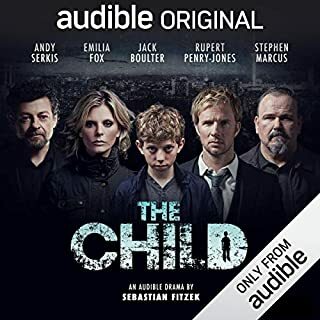 Keep making these original dramas, Audible - i may not like them all, but they all get listened to! I was so looking forward to this book as the summary suggested an interesting listen. I downloaded this last night in a bout or insomnia and was so distracted that I couldn't settle. The narrators are good but there are so many that the volume is inconsistent. I needed to turn up the volume to hear the quietest and then found another shouting in my ear and had to quickly turn it down. They've tried to make it interesting by having sound effects but these are so loud that they distract from the narration - feet on gravel, motorbikes while traveling and animal noises. On top of all that they have put background music on while the general narration is read. At one point the background music was so loud I couldn't make out the spoken words. It's a short book so I will persevere but I might need to send it back and get the kindle edition. 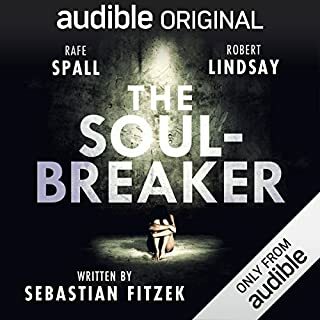 After a few non positive reviews I left this in my library for a while but everyone has different tastes so on a long journey I tuned out from the world and into this audio play. 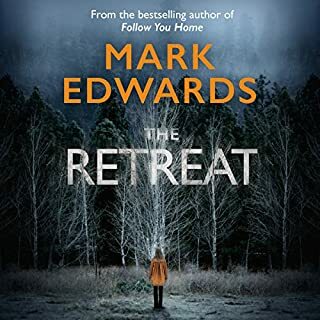 With a great vocal cast and attention to little details which later on become jigsaw pieces to the final puzzle it has you gripped on every word and twist as you join ex policeman Joe unravel this mystery. Just hope more cases are to come and we get to see what happens next to Joe and his family life. I came across this story be accident and I'm so glad I did. A really gripping story till the very end. I could picture the scenes in my head from start till finish. But this is so well written and played that I didn’t miss the ‘single’ voice of the narrator. As a murder mystery it keeps you guessing almost to the end with classic misdirection. I’m containing no spoilers but I will say ‘give this book a listen’ it will keep you enthralled to the end! Great thriller. Was gripped from the beginning and had to listen at every opportunity! Brendan Coyle is brilliant and Booker keeps you guessing throughout. Highly recommend. It has lots of twists and turns to keep you guessing and believable characters especially the main character who is investigating the crime. i struggled to hear the conversations over back ground noise when listening on my phone's speakers.